Another year, another special celebration of a deserving Kraft Hockeyville community. O'Leary, P.E.I., was not only treated to 100K for arena upgrades to the O'Leary Community Sports Centre, the town had a weekend full of hockey-related festivities. One of the highlights came before the Monday matchup, where local children got to participate in a Q&A with players from both teams, including Taylor Hall and Adam Henrique of the New Jersey Devils, and Cody Ceci and Ryan Dzingel of the Ottawa Senators. The feel-goodery and commitment to growing accessibility to the game of hockey didn't stop there. The NHLPA Goals & Dreams Fund also made a donation to the O'Leary Minor Hockey Association, which was presented by the PA Sunday. 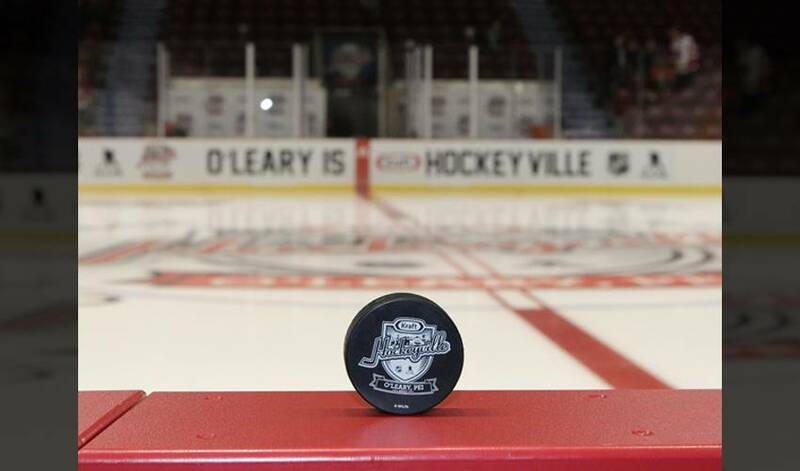 The occasion was capped by a preseason game between the Devils and Senators in the neighbouring town of Summerside at Credit Union Centre, where every single person from O'Leary (population 800) could have filled a seat in the 4,200 person capacity arena. Though the 8-1 win wasn't in favour to the side of Senators alternate captain, Dion Phaneuf, who makes P.E.I. his home in the off-season, he couldn't have been more thrilled to participate in the initiative. “I look at what Hockeyville does, and it’s a $100,000 donation to a community that shows so much passion for the game,” Phaneuf told Postmedia in an interview. “What a great initiative by Kraft to come with it, to award these towns with the opportunity to raise $100,000 to put back into their local community rinks. Phaneuf also seemed more than happy to play host to his fellow NHLPA members and Senators teammates, finding time to show them (literally) around the island. With a good time had by all and a taste of the season to come, O'Leary is set to take the next steps towards building off an already strong hockey community.